It’s almost summer, which means plenty of flowers and sunny weather! What better way to enjoy the great weather than with two new kitties, Tigerlily and Sunshine! 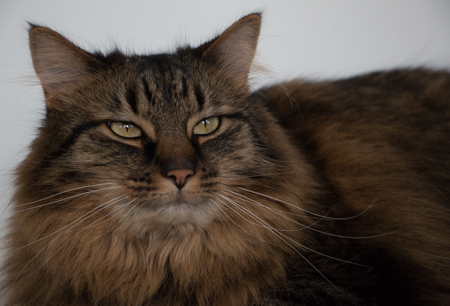 Tigerlily is a gorgeous, fluffy brown and black tabby and about six years old. She’s outgoing, chatty, and is ready to take on the world. 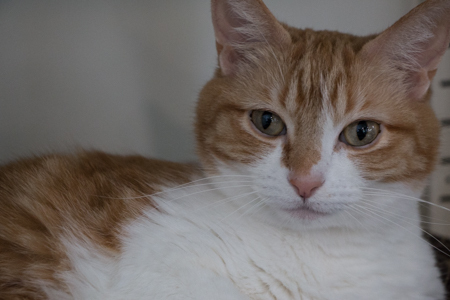 Her sister Sunshine is a sweetie pie orange and white girl and also about six years old. Sunshine is a little more shy than her sister, but together they make a great team! If you’re looking for some feline companions who will hang out in the sun, watch the birds and help you eat that melting ice cream cone, look no further than these gals!We are fixed, microchipped and vaccinated We must be adopted together and our adoption fee is $100.00 a piece. Do we sound like the perfect bundle of Spring? Fill out an application and come visit me at the Pixie Project! Meow!